Rory met with Suicide Safer Eden (SSE) to discuss issues around suicide and the importance of talking about mental health. Mr Stewart had an in depth discussion with a group of volunteers in Eden, who work towards reducing loss of life to suicide within the area. SSE explained how they believes suicide is a community wide public health issue and everyone can do something to help. It encourages people to be ‘helpfully nosey’ – to ask people how they are feeling, listen to them and direct them towards help. SSE often hosts public sessions that look at the facts and figures around suicide, why suicide should be talked about and what people can do to help prevent suicide by being aware of the ‘signs’ that someone may be having thoughts of suicide. The charity also has local champions around Eden who raise awareness of suicide. Thursday, February 7th, is Time to Talk Day – when people are encouraged to talk about their mental health. Time to Change, which started the initiative, argues conversations about mental health helps break down stereotypes, improve relationships, aid recovery and take the stigma out of something that affects everyone. After the meeting, Mr Stewart said: “Talking about mental health is so important and can make a real difference to people’s lives. 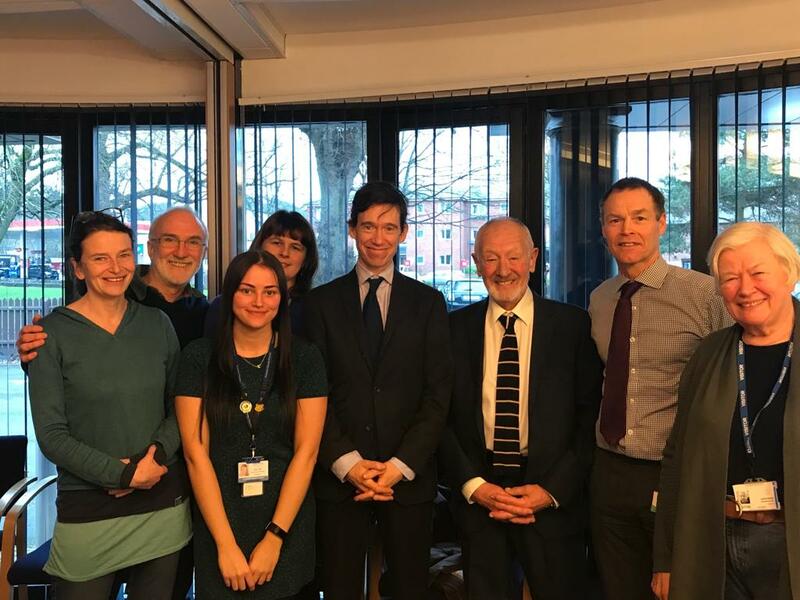 It was really interesting talking to the volunteers at Suicide Safer Eden, who are doing some great work to raise awareness of suicide, and learn more about how everyone can help prevent suicide.